Keywords: Cephalosporins, In-hospital mortality, Resistance, Spontaneous bacterial peritonitis. 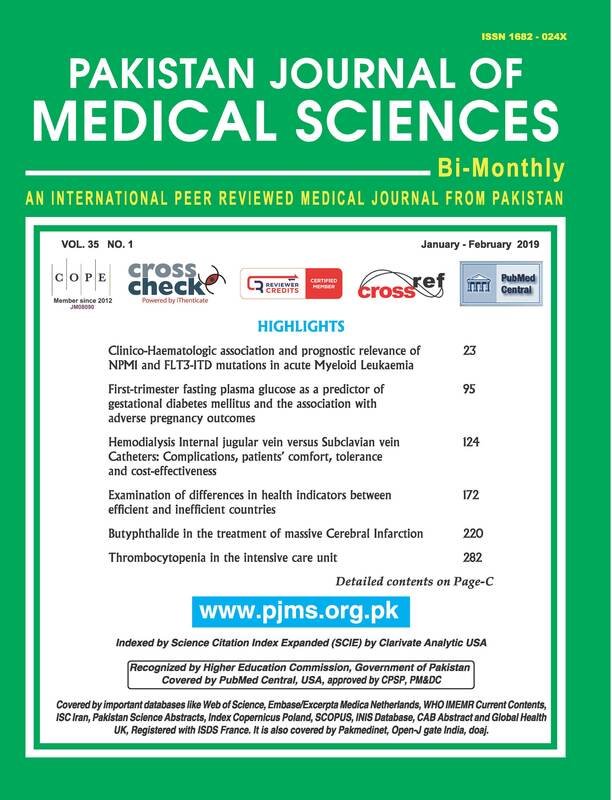 Objective: To determine 3rd generation cephalosporin resistance in patients with community-acquired spontaneous bacterial peritonitis (SBP) using early response assessment. Methods: This prospective quasi-experimental study was carried out at Doctors Hospital & Medical Center from January 2016 to September 2018. Patients with cirrhosis and SBP were included. Third generation cephalosporins i.e. cefotaxime/ceftriaxone were used for treatment of SBP. Response after 48 hours was assessed and decline in ascitic fluid neutrophil count of < 25% of baseline was labelled as cephalosporin resistant. Carbapenem were used as second line treatment. Recovery and discharge or death of patients were primary end points. Results: Male to female ratio in 31 patients of SBP was 1.2/1 (17/14). Hepato-renal syndrome was diagnosed in 11(37.9%) patients. Cefotaxime was used for 16(51.6%) patients whereas ceftriaxone for 15(48.3%) patients. Early response of SBP was noted in 26(83.8%) patients while 5 (16.2%) were non-responders to cephalosporins. SBP resolved in all non-responding patients with i/v carbapenem. In-hospital mortality was 12.9% and had no association with cephalosporin resistance. High bilirubin (p 0.04), deranged INR (p 0.008), low albumin (p 0.04), high Child Pugh (CTP) score (p 0.03) and MELD scores (p 0.009) were associated with in-hospital mortality. Conclusion: Cephalosporin resistance was present in 16.2% of study patients with community-acquired SBP. Mortality in SBP patients is associated with advanced stage of liver disease.